After having tried my hand at different ways to lose weight and remain fit, I can safely say that dieting, especially avoiding carbs, is the most painful and frustrating way of getting rid of excess fat. I prefer pushing myself to the limit in the gym or on the racetrack or the treadmill than eating a diet that contains lots of proteins and vitamins but no carbs. Well, you can imagine my surprise and shock when I discovered that a zero-carb diet is actually bad for somebody seeking to get rid of excess body fat. How on earth can one eat carbs and still lose weight? A knife used to attack people is a dangerous weapon. On the other hand, a knife or scalpel becomes a life-saving device in the hands of a surgeon or doctor. The point that you should understand is that not all carbs are bad for the body. If you are fat, then you should focus on consuming those food products that have lots of good fat burning carbs. If you do so, then you shall enjoy good results from your efforts to lose weight. On the other hand, continue consuming bad carbs and you are likely to struggle to lose weight no matter how hard you try. The trick is to know how to distinguish between good fat burning carbs and bad carbs. The carbohydrates in rich, oily, or processed foods are invariably bad for your body. These carbs get converted into glucose, which is then converted by your liver into fats for later use. This process occurs quickly even before you can burn off the energy gained from doughnuts, desserts, candies, and other processed foods. Continue eating these carbs and you are likely to face higher risk of obesity, diabetes, heart problems, and even cancer. Of course, you will continue ballooning up due to all the extra fat that your body is producing. Why Consuming Good Fat Burning Carbs is Essential? What do you do when you exercise? You burn energy. Can you burn energy if your body does not have enough energy? Certainly not. How to ensure your body has energy it requires? You just need to eat adequate carbs. Carbohydrates provide the much-needed energy for your body to function. Without enough carbs, you are unlikely to have the energy to work out and get rid of the excess fat on your body. Balanced foods that contain vitamins, minerals, carbs, and fiber will get converted into energy a lot slower as compared to rich and processed foods. Fiber is a nutrient that wraps itself around the food molecules. This causes the rate of digestion to slow down. Further, fiber makes you feel full. So, you won’t overeat if you eat dishes containing lots of fiber. All these characteristics ensure your body does not quickly convert glucose released from good carbs into fats. Further, these foods reduce the pressure on your body to produce more insulin. This will give your pancreas and liver a bit of a break. On the whole, eating good carbs will keep your energy levels high, help you feel full, and do a whole lot of good to many other organs in your body. Want to know more about foodstuffs that contain these good carbs? Well, I would recommend the following three foods for anybody who wants to switch over to a healthier diet designed to speed up fat loss in the body. Barley is a grain that contains a lot of good carbs along with many other beneficial nutrients. It contains essential vitamins, minerals, and lots of fiber. This means you are likely to feel full very quickly after eating a dish containing barley. What is more, such a dish will not release sugar very quickly into your bloodstream. Further, the fiber, which never gets fully digested in the stomach, is pushed to the small intestine where it provides nutrients to trillions of bacteria that reside in your gut. 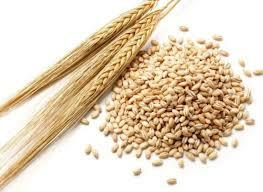 The fiber in the barley is fermented to produce butyric acid. This acid is a very powerful source of energy for your intestines. A healthy and energetic gut will produce propionic acid and acetic acids in the right quantities. These acids help your liver control the level of cholesterol in the body. Of course, you will also enjoy high energy levels with reduced fat production. You can enjoy all this by simply consuming breads, muffins, pancakes, or other such dishes with barley as an ingredient. Quinoa stands apart from other foodstuffs that are rich in good carbs simply because quinoa contains double the fiber as compared to other grains. I have already explained the importance of consuming lots of fiber. If you eat dishes containing quinoa, you will be doing a big favor to your heart, your digestive system, your pancreas and liver, as well as your intestines. The intake of fiber will reduce the secretion of insulin, which is a hormone designed to help the body store energy in the form of fat. Reduced insulin need means that your body will automatically produce less fat. 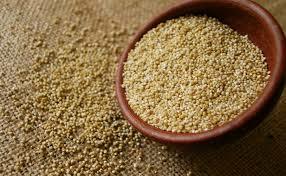 Another advantage of quinoa is that it produces very little free fatty acids. These acids often contribute to insulin resistance, which leads to sugar trouble and weight gain. 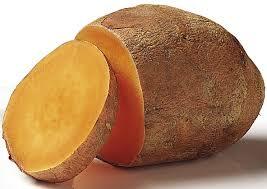 Sweet potato is a food that is rich in all essential nutrients. What makes the sweet potato ideal for those trying to lose weight is the fact that causes an increase in the level of Adiponectin in your body. This is a protein that slows the rate at which insulin is required by the body. Less insulin means less fat production, which means your efforts to lose fat will become a lot more effective. Following a zero-carb diet and hoping for fat loss is like removing the fuel tank and expecting the car to start. Some carbs are essential for fat loss. Focus on avoiding bad carbs and make yummy dishes containing lots of good carbs to ensure you can enjoy the process of getting rid of excess flab in your body.